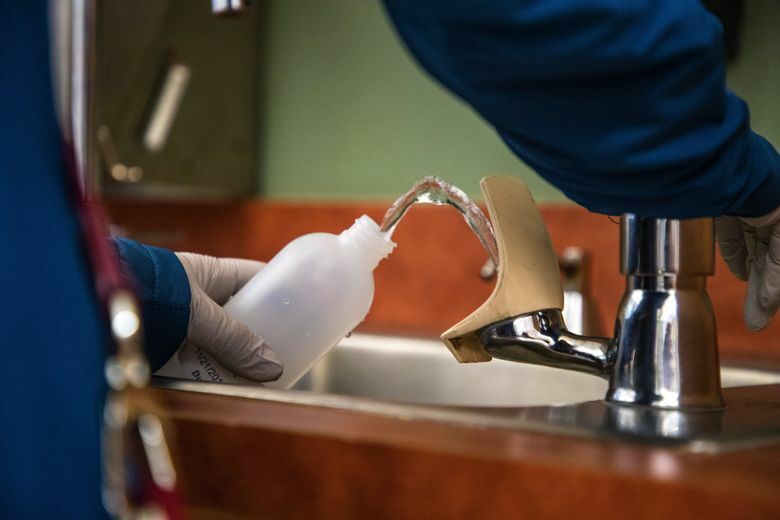 Washington joined nearly two dozen other states that flunked a national ranking of their efforts to remove lead from drinking water in public schools and preschool centers. In a report released last week, the advocate groups Environment America Research & Policy Center and U.S. PIRG Education Fund gave Washington and 21 other states an “F” for failing to protect students from drinking water contaminated with lead, a heavy metal used in old plumbing and paint that poses a particular health risk to children. The report surveyed 32 states and graded each on whether it has policies that require schools to proactively remove lead from their water systems, or only in response to water quality tests. The survey also included testing protocols and public transparency in each state, what level of lead would trigger a mandatory fix and whether state laws apply to both public schools and early childhood programs. The national report follows a recent analysis of new state data in Washington that found 97 percent of schools participating in a voluntary testing program had at least one drinking water source with levels of lead above one part per billion, a threshold recommended by the American Academy of Pediatrics. Since early 2018, about 5 percent of the total water fixtures tested in Washington failed a higher federal threshold of 15 parts per billion, according to a February report from the Environment Washington.